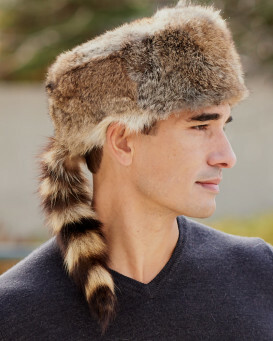 Go retro in one of our Coonskin caps or Davy Crockett style hats also known by some as Daniel Boone hats or Mountain Man hats. They are the perfect combination of fashion and function, revisited from yesteryear. Made with only the highest quality fur from northern USA and Canada, these charismatic beauties feature a full fur exterior, a cozy quilted interior lining and the essential addition of a genuine fur tail at the back. 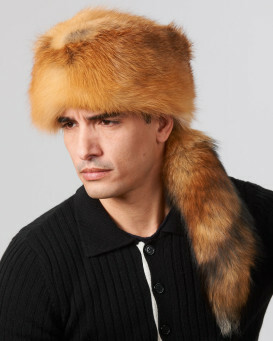 If you're feeling extra bold, make a statement with hats that include faces, legs, and even a full coyote pelt that drapes dramatically across the shoulders. 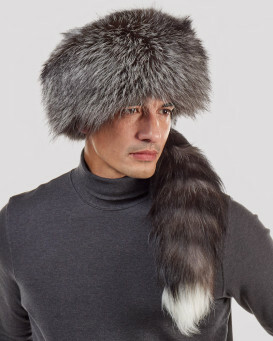 Our Coonskin caps and Davy Crockett-style hats include retractable wool ear flaps that can be pulled down over the ears for additional warmth. 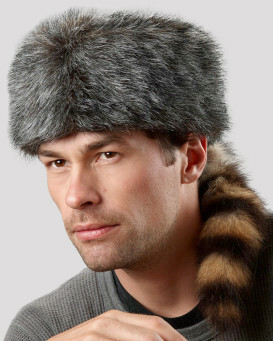 They are available in genuine raccoon fur, rabbit fur, red fox fur and coyote fur. They are offered in both men's and children's sizes (see the kids hat section). "I purchased this has about a year ago and I love it. When I wore it the first time to an outing with my son's Boy Scout Troop it was a big hit with the Scouts. Not to mention, it is very warm! Sometimes, so much so, I have to take it off for a bit. As for the quality, top notch. 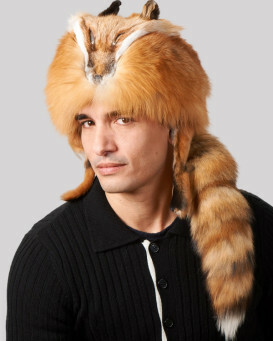 Everything about this hat says First Class. Not a blemish in the fur to be found and I love the legs hanging down. 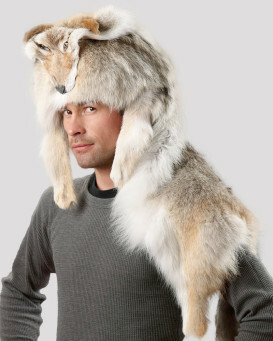 I would have preferred the flaps on the inside that pull down to cover your ears be fur as well, but not a deal breaker. 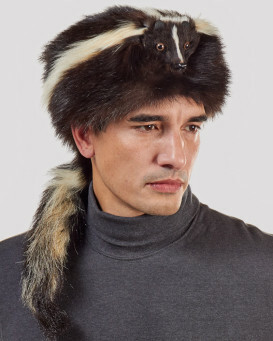 One other thing, and this is purely aesthetic, I would have liked the face to be a little more refined with eyes, like the skunk hat, but again, that is a personal preference based on looks and has nothing to do with how the hat functions. All in all, a great hat and I love it! 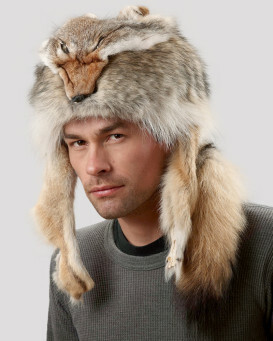 A bit pricey, but, once you get the hat, you will realize you paid for a high quality, lifetime hat." Pembo from Sandbach Cheshire England uk ???????? 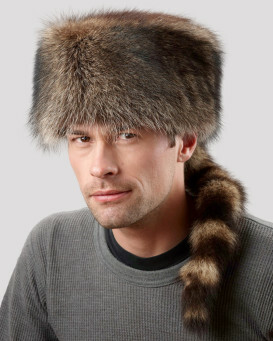 "I showed a fellow shooter a picture of my latest purchase from yourselves ,the raccoon full face fur with tail ,Davy Crockett hat . 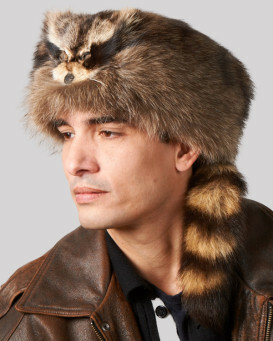 You will shortly getting another order for a coonskin hat with face , l could be setting a trend in the uk ???????? ????." "Wow ! I have always wanted one since I was a kid ! I'm 59 now ! Looks and feels great ! Easy to order and was shipped and received quickly ! Will order again for sure !" "Ordered the hat from the UK and it was delivered as promised within a week . Quality is first class and very impressed. Going to wear it on our Christmas pheasant shoot , I’m sure l will get some admiring glances and comments ??????? 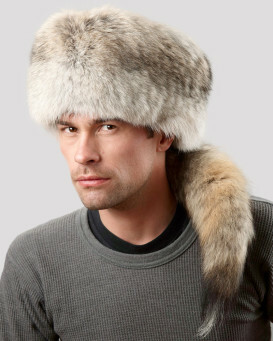 ?from my fellow guns ..Thanks again"
"Whenever I wear my fur hats there is almost always someone who will stop and comment"
Based on 528 customer reviews.